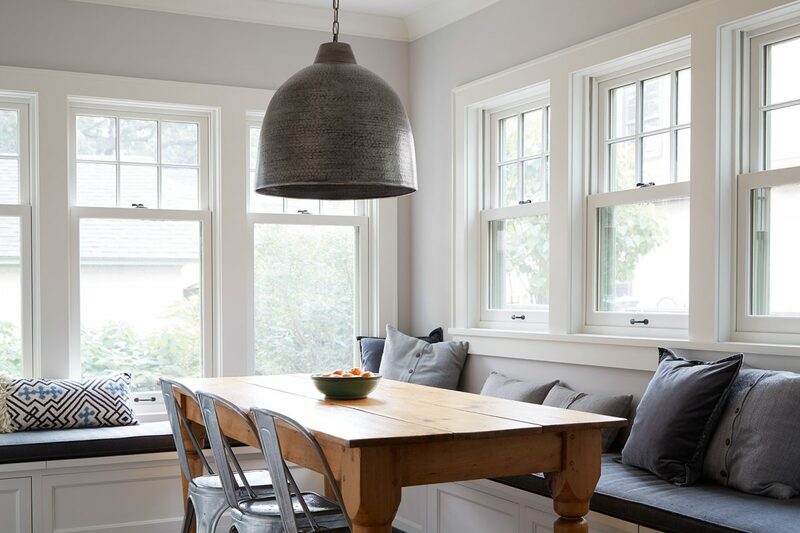 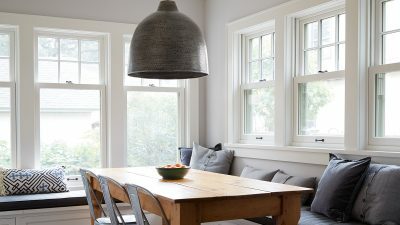 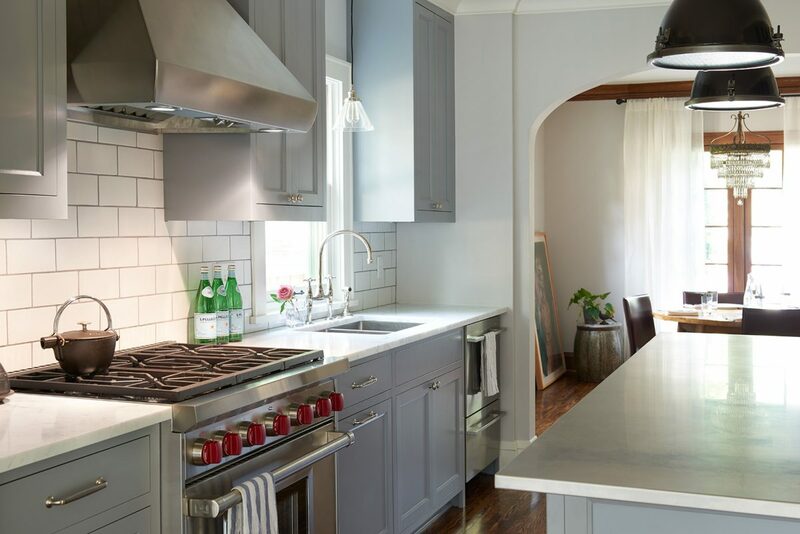 This classic stucco house’s small addition and renovation, designed for a successful restaurateur couple in Minneapolis, resulted in some very large improvements. 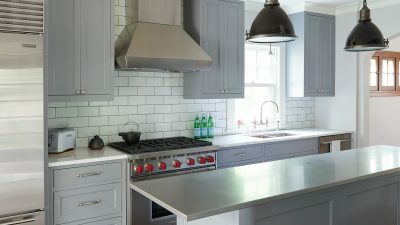 The original kitchen had headroom issues, outdated appliances, too many doorways, and not enough counter space. 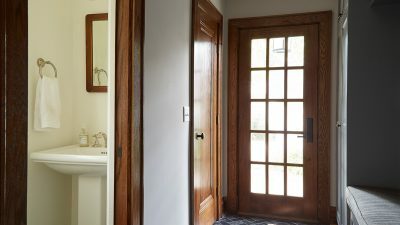 Expanding the kitchen, mudroom and powder room allowed the original stair to be straightened and a new doorway to be cut into the living room, forming a circulation loop within the house. 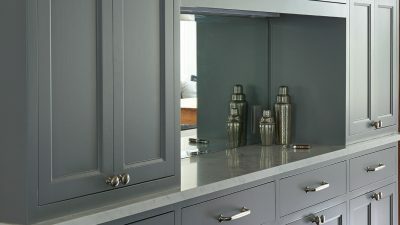 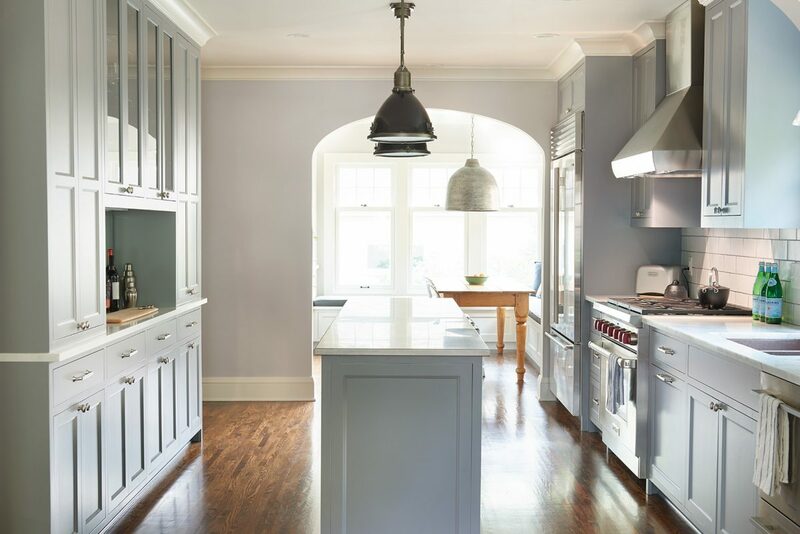 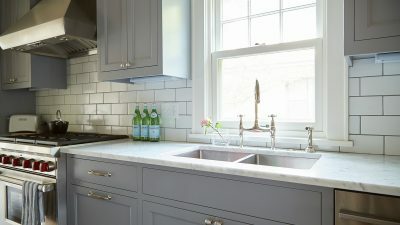 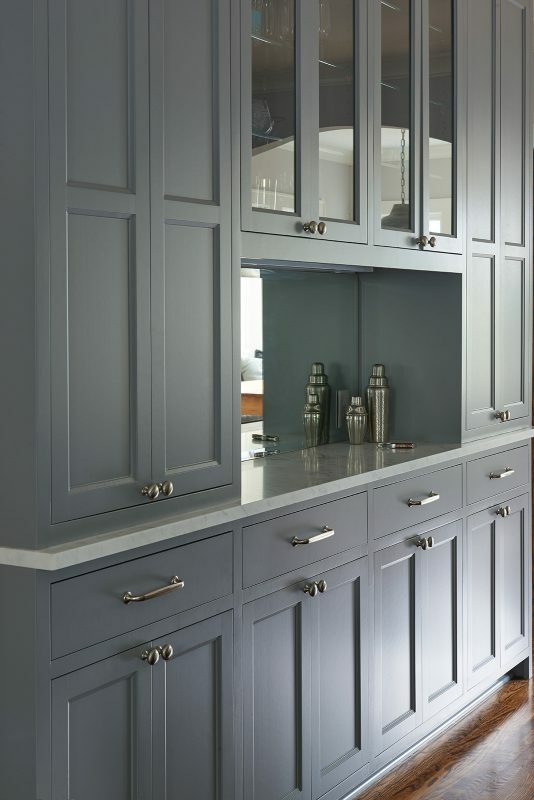 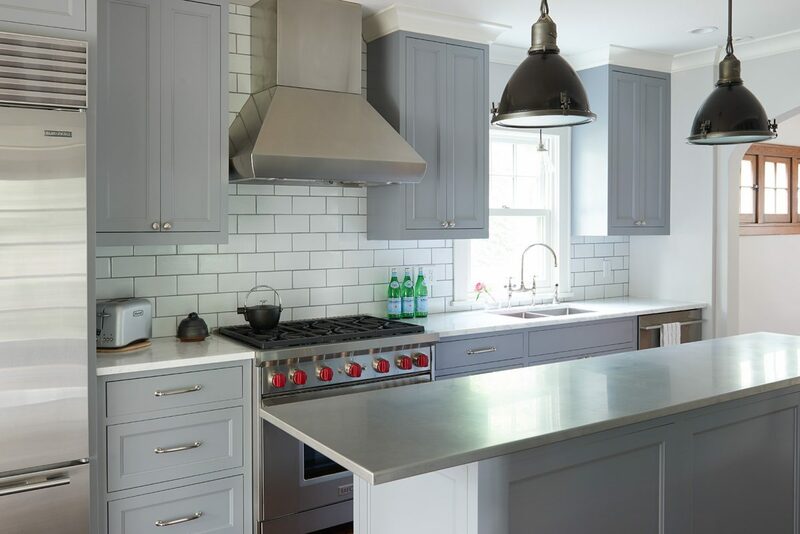 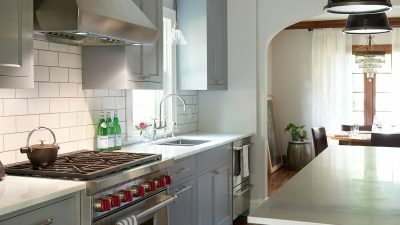 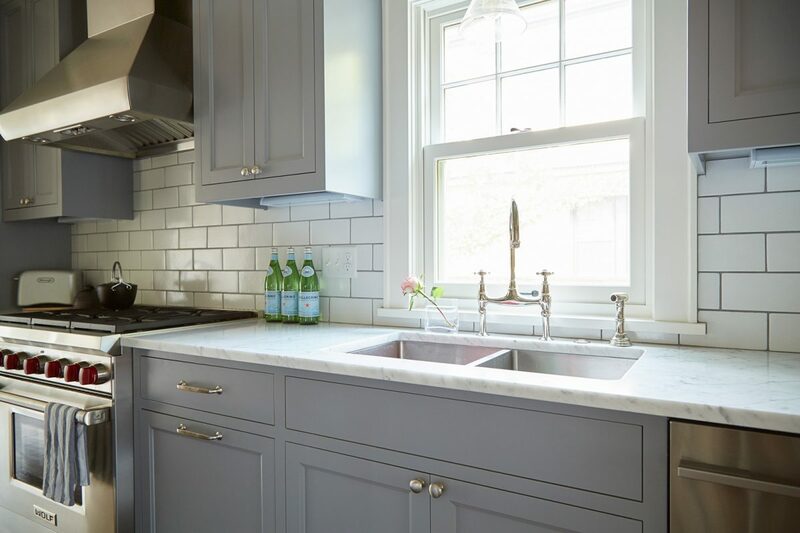 Chefs know that the key to a successful kitchen is maximum efficiency and flow, and the new kitchen makes use of every inch with a narrow island, an entire wall of shallow-depth cabinetry, and additional storage below the eating nook bench. 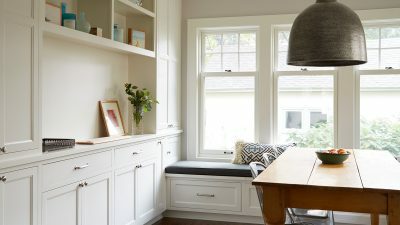 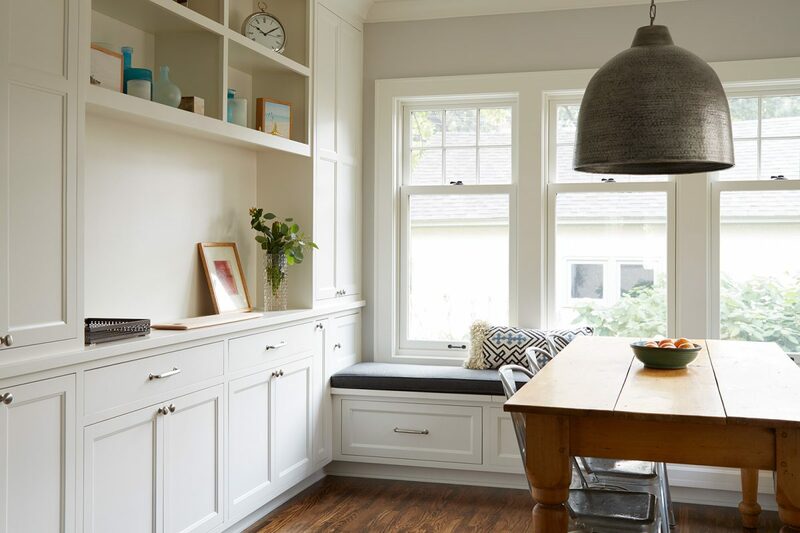 There’s a cheerful balance of utility and daylight, plenty of room for guests to chat with busy cooks, and a space for kids to do homework while parents crank out a quick dinner. 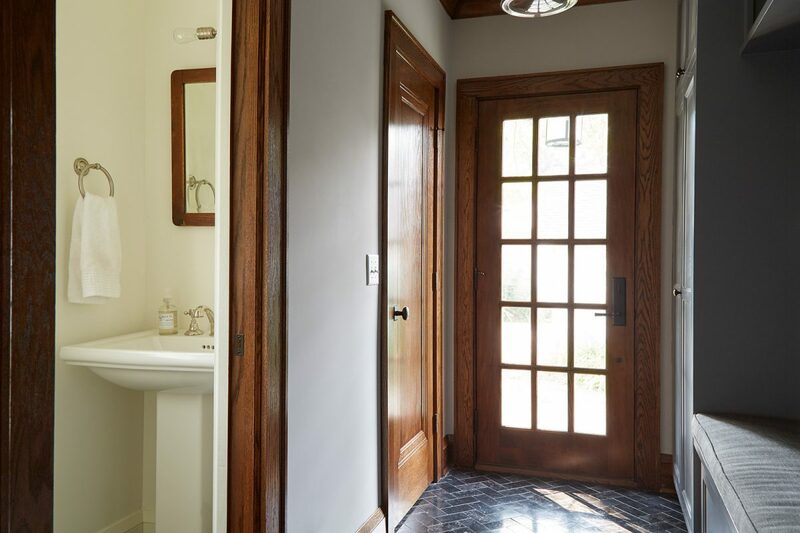 A new master bedroom, bathroom and closets were added on the upper level above the new kitchen. 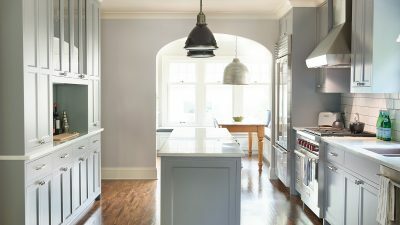 The renovation’s proportion and details successfully blend with the home’s original architecture and that of its 1920s neighbors.